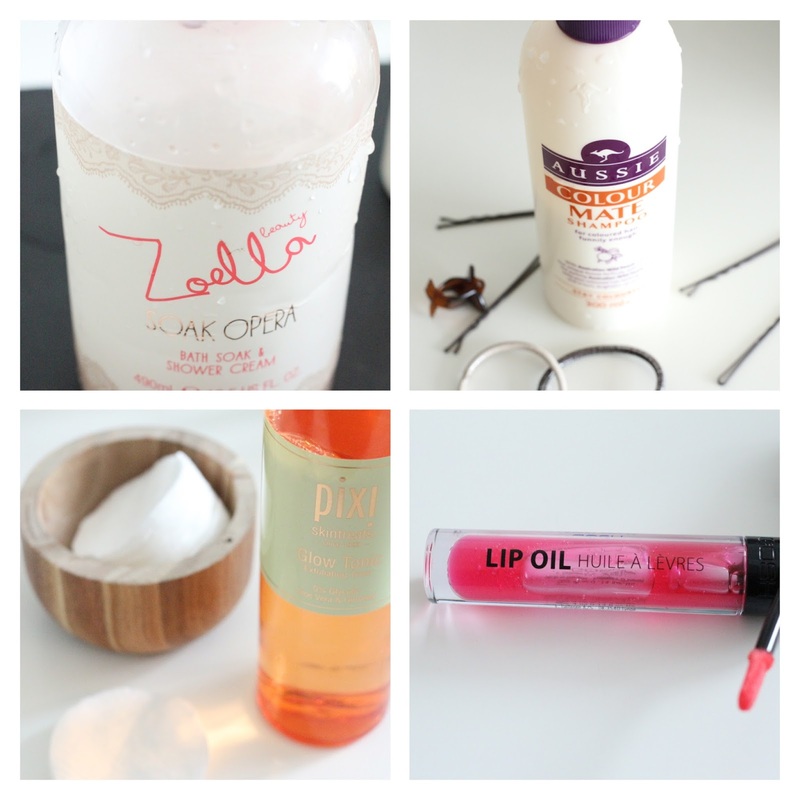 Rougepout Beauty: Weekly Favourite 4! This week it is firm favourites, 3 I have used time and time again, they have been repurchased over and over, then there is the new kid on the block, more of that later. This is one of the best value bath and shower cremes I use, Zoella Beauty Soak Opera, nearly 500ml of product for £5, although Superdrug often has it on offer. This sweet silken soak opera smells lovely in the shower and when poured into a bath. Skin is cleansed, not stripped of moisture, a firm favourite. Proof that products are ageless. This is one of the few hair items that I stick with on regular basis, it works for my hair. Aussie Colour Mate available in two sizes offers a shampoo that cares for coloured hair. My home dyed follicles stay vibrant in colour, my scalp is cleansed and my hair never feels weighed down with this shampoo. A small amount washed well through my fairly long locks and rinses away easily, leaving shiny, smooth and glossy hair. I may try other brands but this always has a place on my shampoo shelf. Pixi Glow Tonic should have a plaque outside the shop in honour of this skin care sos product, how many faces has this exfoliating lotion helped over the years?. One of the better smelling exfoliating lotions on the market and probably the one I buy most often now. My use changes depending on my skin needs, but usually, it's more an evening used product than a morning. This clears away the debris of dead skin cells, balances the skin and keeps my face and skin happy. This I have reached for since I bought it when I'm not pouting red lipstick at you all and sometimes pink lipstick, get me! This Gosh Lip Oil has been on my lips and I truly wasn't sure it would be such a popular lip product for me. My initial reaction was not positive, the smell was quite strong and if you watch the haul video here, you'll hear what I likened it to. But, it has become the best lip product I've found for quite some time, the smell is now just oil, strong oil, the texture an oil but it stays, you'd think it would disappear at the first sign of a coffee, but no, there it sits and my lips have been in great condition since using it. I have the shade Raspberry which gives a whisper of colour but it's the lip conditioning results I love. I nearly headed for the Clarins Lip Oil, so pleased I read about this first. Lip-smackingly good. The post may contain affiliate links.